Instagram is a social media application owned by Facebook for sharing photos and videos with friends and followers. 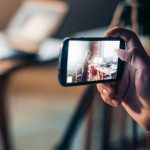 Instagram has been criticized for copying popular features from Snap chat such as stories and face filters.Instagram has announced to make its popular face filters which you can only add on your Instagram photos now available when sharing live video. The latest addition of Instagram Live face filters will help people to hide their faces as much as possible form their followers. All existing Instagram face filters are now available for live video. You can now add filters before or during your live video that include various crowns and animal ears as well as pilot getup and nerd glasses. 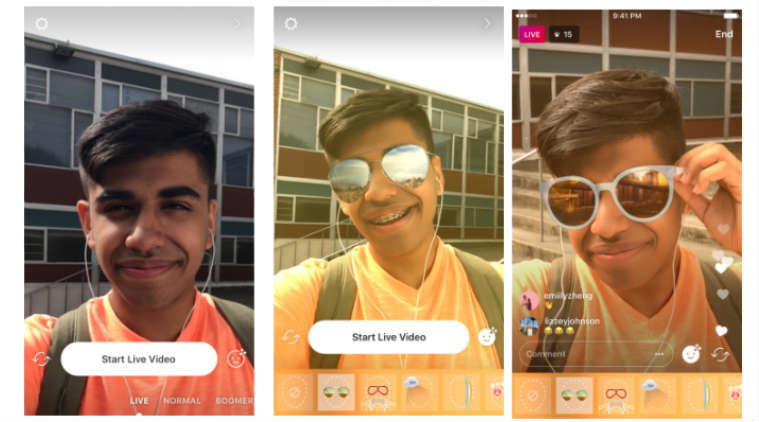 You can add Live face filters before or during an Instagram Live broadcast. All you have to do is tap the face icon in the bottom right corner of the Instagram live interface. Filter options will appear you can select anyone to see how it looks on you. Tap on any filter and it will be applied to you during the live video you can try on and play around with as many face filters as you like and share with your followers. When you live video ended you can share a replay of your live video to Stories, so those who missed can catch you up later or choose “Discard” and your live video will disappear from the app. Instagram also said that Instagram face filters for live videos may or will take several weeks to roll out globally.